Sometimes, innovation comes in a Eureka moment of insight, when we learn to approach a problem in a brand new way. Other times, though, we are approaching the problem in the right way but with the wrong tools, and the innovation happens when a new technology finally makes a solution possible. Take the case of Ralph Tripp, a researcher at the University of Georgia, and his collaborators at Proventus Bio and Batavia, who are using recently invented tools to change the way viral vaccines are made. Making these vaccines is pretty complicated. We all understand the basic idea: infect somebody with weakened (attenuated) version of the virus you want to protect her against, and if the virus ever shows up again, her immune system will kick into high gear. But where does that virus come from? When vaccines were invented, scientists inoculated living animals and then took the virus from them, but as you can imagine, that technique presented certain challenges. Eventually, researchers figured out how to infect animal cells in a Petri dish, wait till the virus had reproduced, and use it to make vaccine. As more vaccines were developed, a sort of library of special cells was assembled, depending on which suited which viruses: monkey-kidney cells for polio, dog-kidney for flu, human-lung for measles. There was only one problem: these cells evolved to limit the ability of disease-causing viruses to reproduce within them. And so, for over a century, we’ve made vaccines by growing virus in cells that were not fully optimized for production. As a result, even though there are vaccine manufacturing facilities running 24/7 around the world, we still have trouble meeting demand. Help may be on the way, though, from a surprising source: the floral industry. For at least a thousand years, florists have been obsessed with the idea of creating a blue rose. In the 12th century, people were dyeing roses blue on the Arabian Peninsula. In the 19th century, Belgian and British horticulturalists even offered a prize of 500,000 francs to the person who could breed a blue rose! So when DNA sequencing was invented in the 1970s, the floral industry took notice. For the first time, scientists could look at cellular blueprints and identify which genes did what—which apple genes made apple slices turn brown, for example. The next step was to try to control them, to activate and deactivate the right genes for apple slices to keep their fresh look. The methods developed were fairly crude, but they were enough to intrigue blue-rose hunters. Then, in 1990, scientists funded by the floral industry accidentally turned a petunia white. Without intending to, they had “turned off” the genes that told the flower to be purple—and only those genes. Other scientists continued this work, and in 2006, Andrew Fire and Craig Mello won the Nobel Prize for the technique they called RNA interference (RNAi) which let them deactivate genes in extraordinarily targeted ways. Enter Dr. Tripp, who realized very quickly that RNAi might help solve the problem of making viruses in cells that evolved to fight viral infections. If there was a reliable way to manipulate individual genes, couldn’t he just turn off the host-cell genes that reduce virus reproduction? After some preliminary work, he applied to the Gates Foundation’s Grand Challenges Explorations program for a grant to study this question using the polio vaccine. Dr. Tripp started his work with us by scanning the more than 19,000 genes in the monkey-kidney cell vaccine manufacturers use to grow polio. 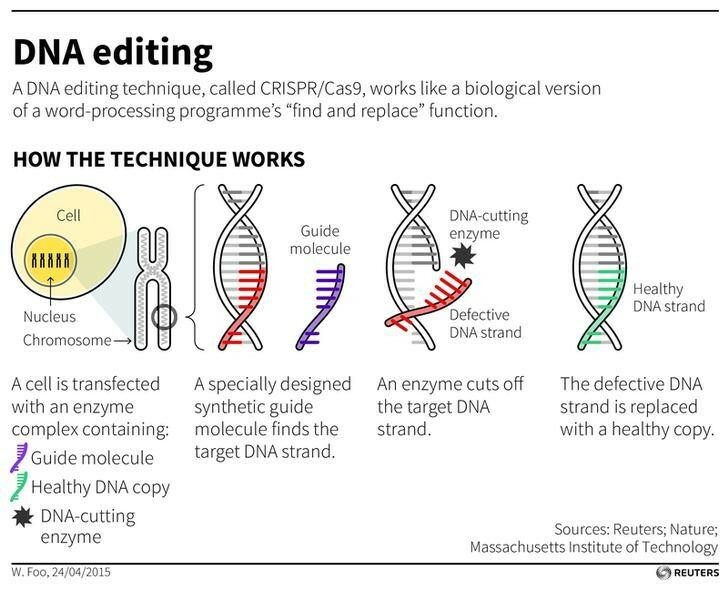 By this time, even more sophisticated technologies had been developed, so once he’d identified a handful of genes that resisted the virus replication, he used an even newer technique called CRISPR/Cas9 to knock them out. The result? The cells produced over eighty times as much virus. That means that using the same manufacturing footprint available for polio vaccines today, we can get 80 times as much vaccine. Alternatively, we could get the same amount of vaccine as today with 80 times less production capacity. But Dr. Tripp wasn’t finished; while he was working on polio, he had also decided to see whether the process would work for rotavirus, which kills about 450,000 children around the world every year. And now that it looks like RNAi and CRISPR/Cas9 are as successful with rotavirus as they are with polio, he’s got his sights set on norovirus and others like it. Dr. Tripp and collaborators have formed their own company, Proventus Bio, and hope that soon the vaccine industry will be able to get rid of the need for multiple large production facilities and maybe even move to a universal cell line—to create every viral vaccine in the same kind of cell that’s had a few genes knocked out. This will make it even easier, faster, and cheaper to produce more vaccine in fewer cells. Scientists had been toiling away for decades trying to find ways to increase the amount of vaccine cells could produce, but they didn’t have the right tools to do the job. But now, thanks to genetic researchers—and florists—Dr. Tripp has found a solution. And because of this, we may soon be in a position to save a lot more lives.